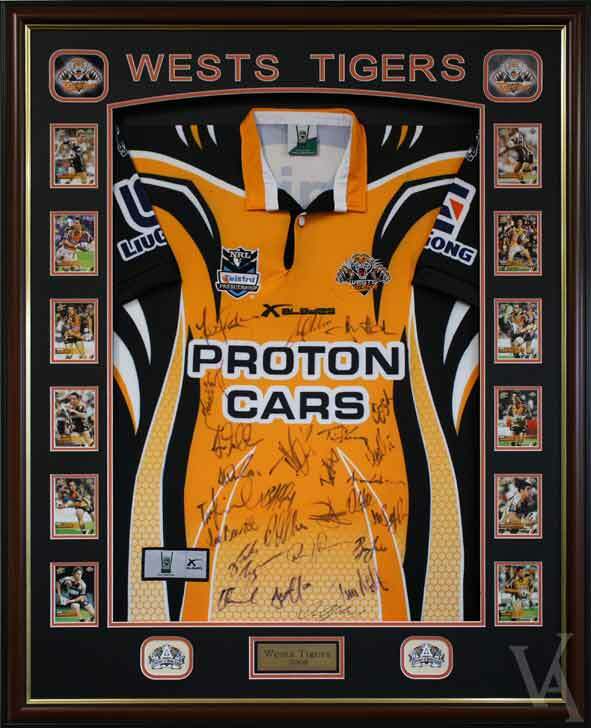 Your prized Football Jersey can enjoy the visual enhancement and protection it deserves from Visual Art’s custom jersey box framing. 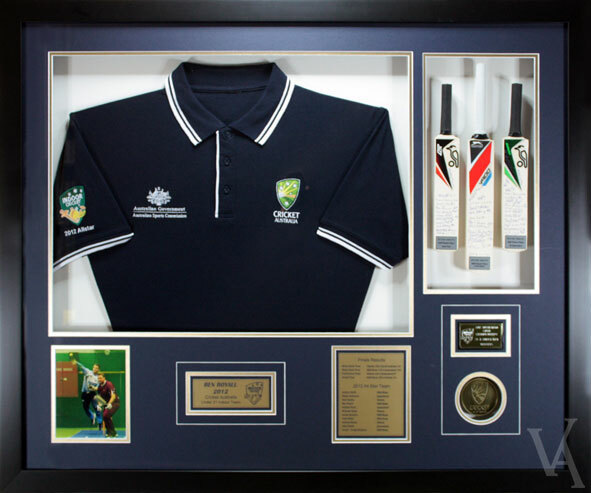 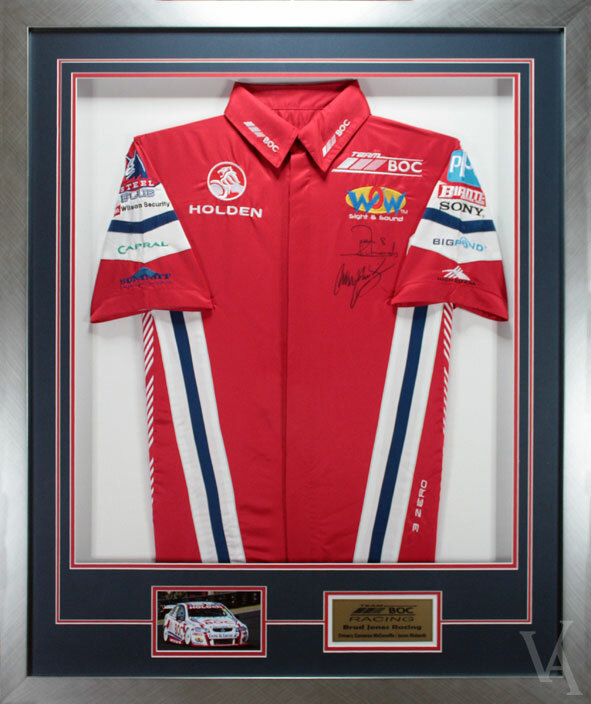 Our Jersey Framing packages all include double mat boards to compliment your specific team colours, a vast selection of both Australian and international mouldings and a full box frame at a depth of 50mm to prevent mildew contamination. 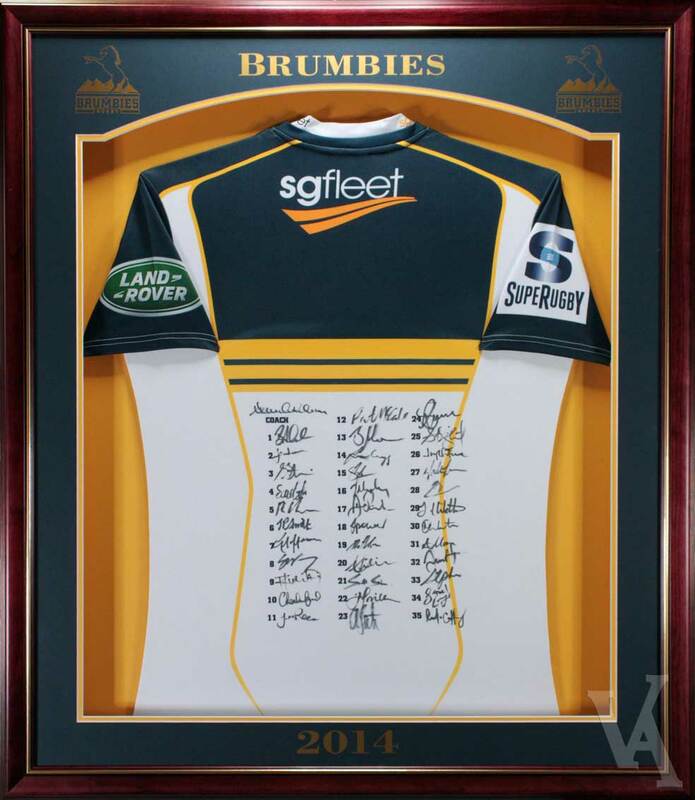 Other visual enhancements include personalised plaque engraving with the option of having team logos engraved. 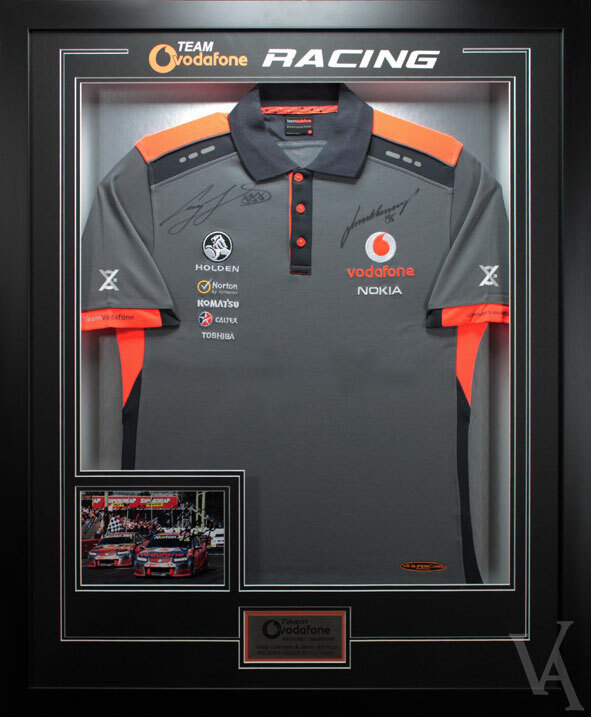 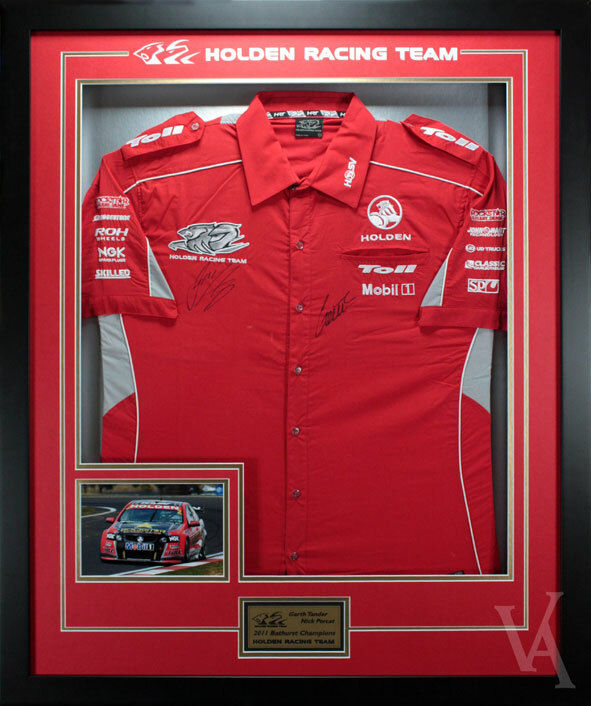 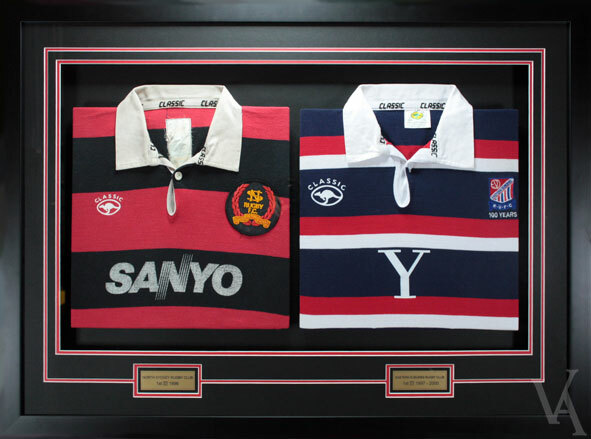 If you are after something unique and would like to customise your own sporting memorabilia feel free to get in contact with us today. 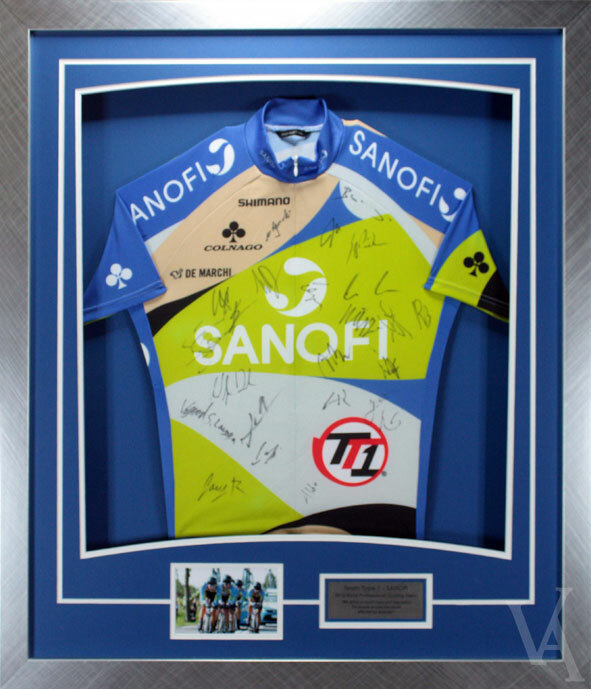 Take a look through our photo gallery to see the attention to detail in our custom framed jerseys. 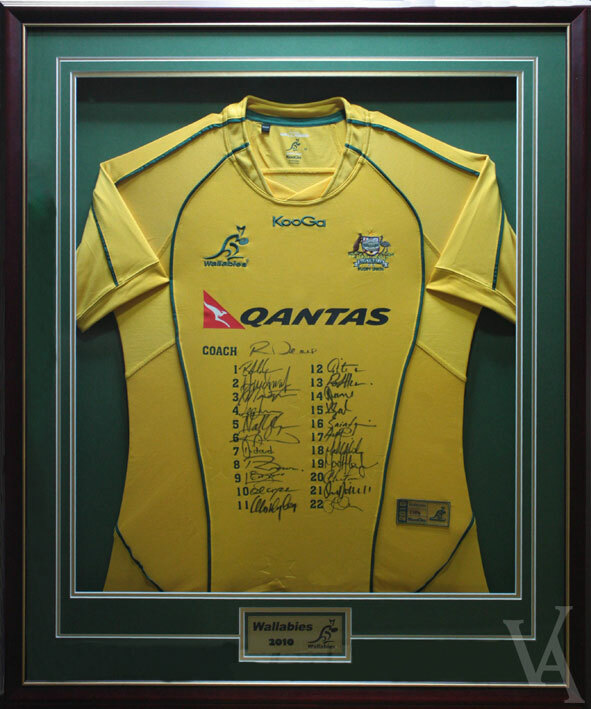 We can provide you with advice in relation to any sporting memorabilia. 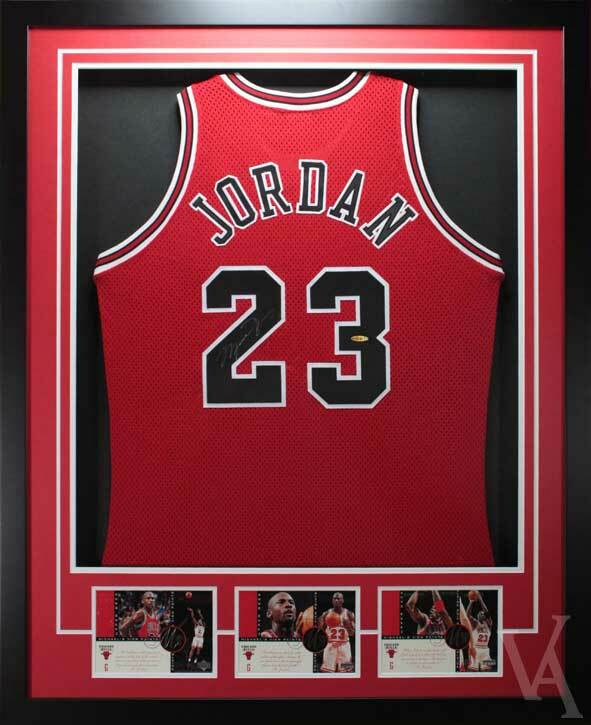 The Swaging Hanging System is a strong and professional way of safely hanging your Framed Jersey. 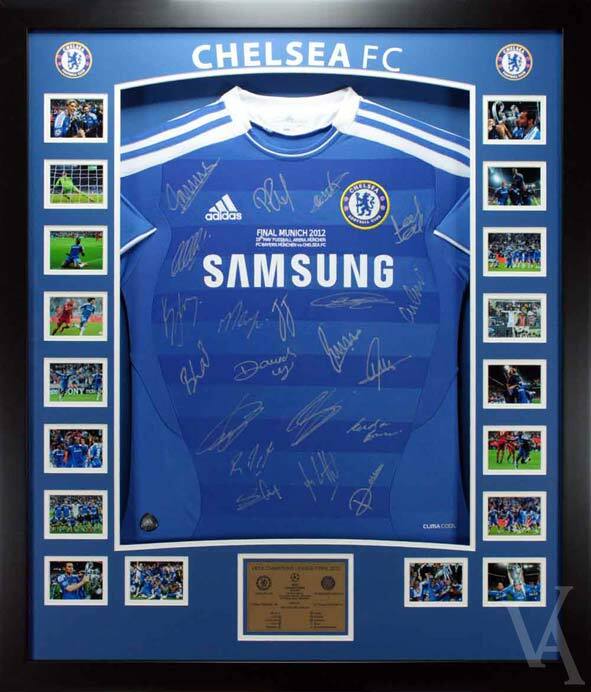 Personalised Plaque Engraving is available for all Jersey’s and Sporting Memorabilia. 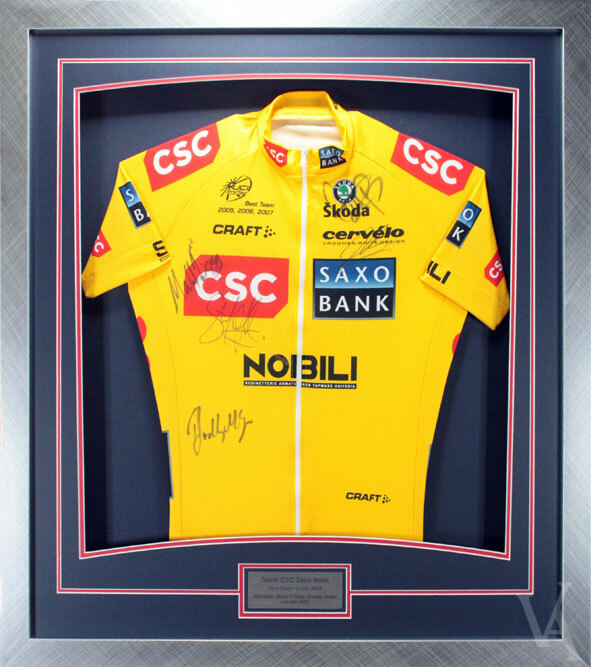 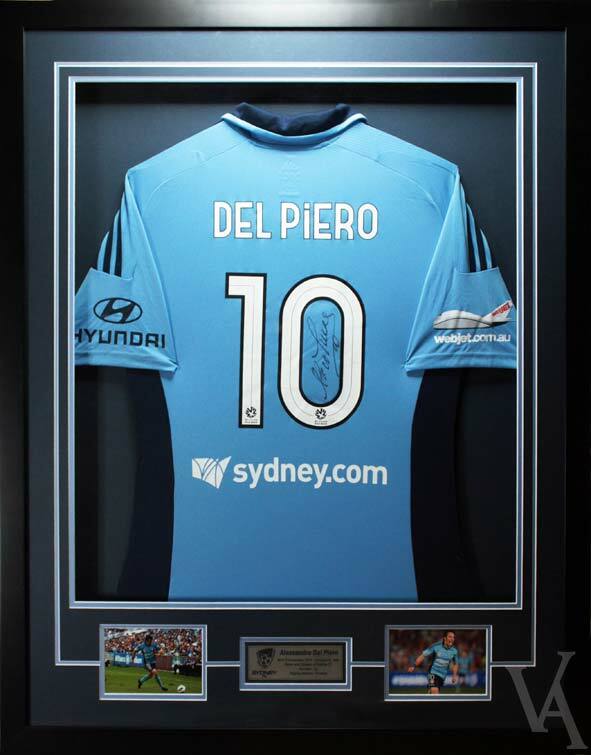 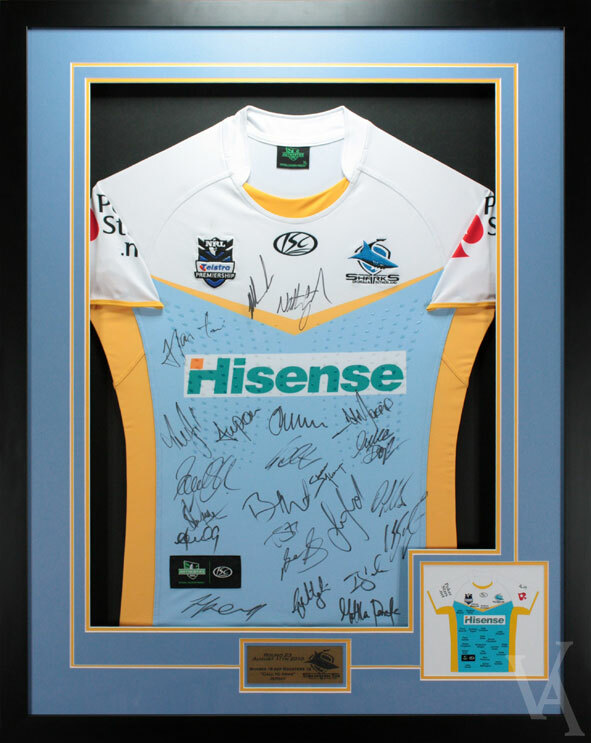 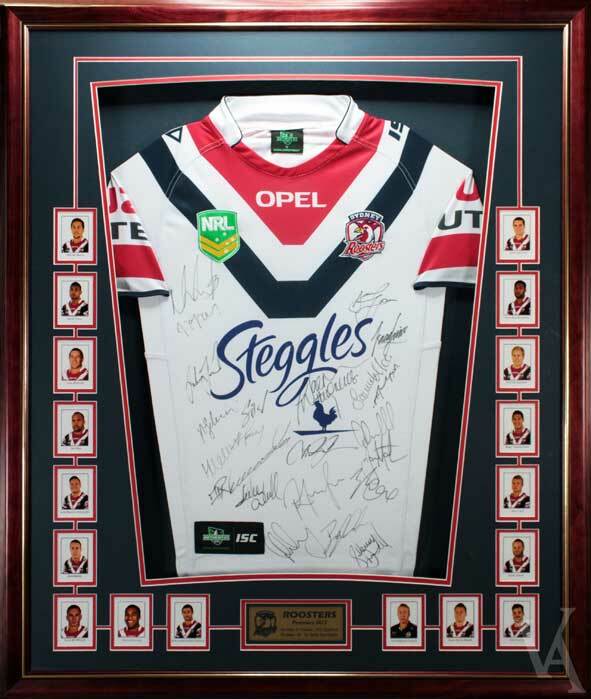 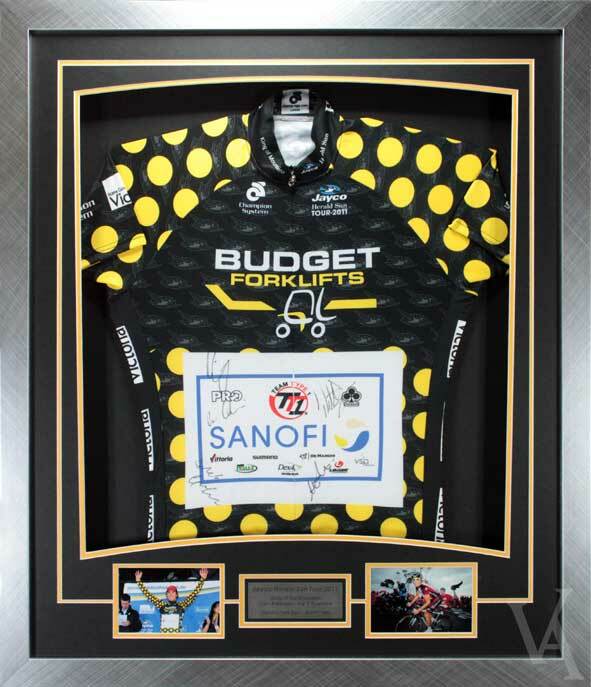 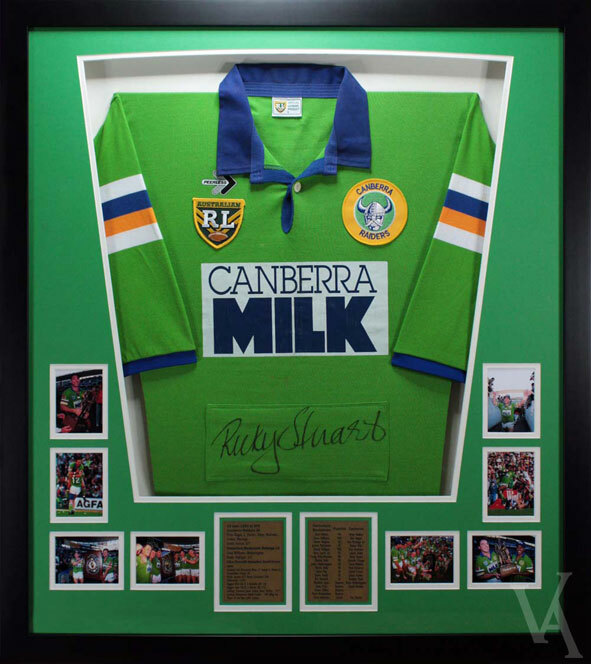 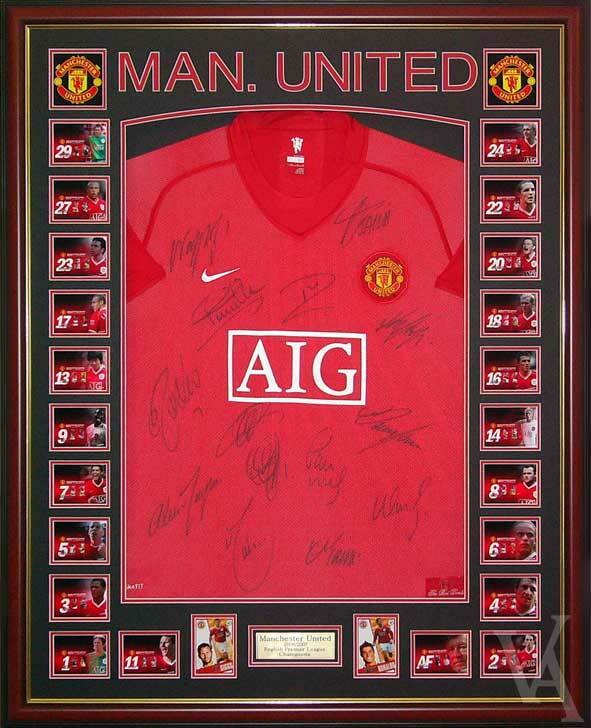 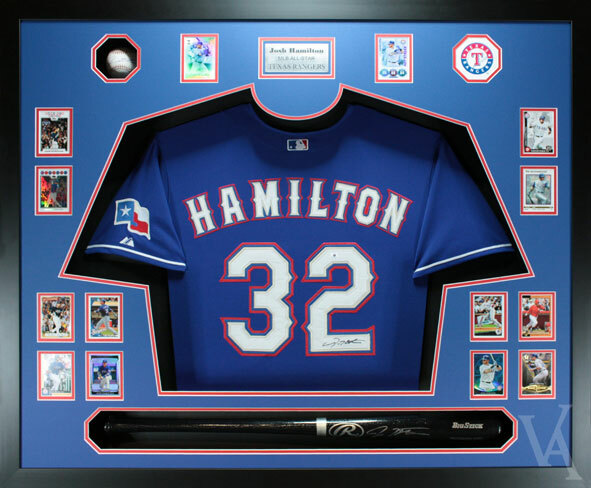 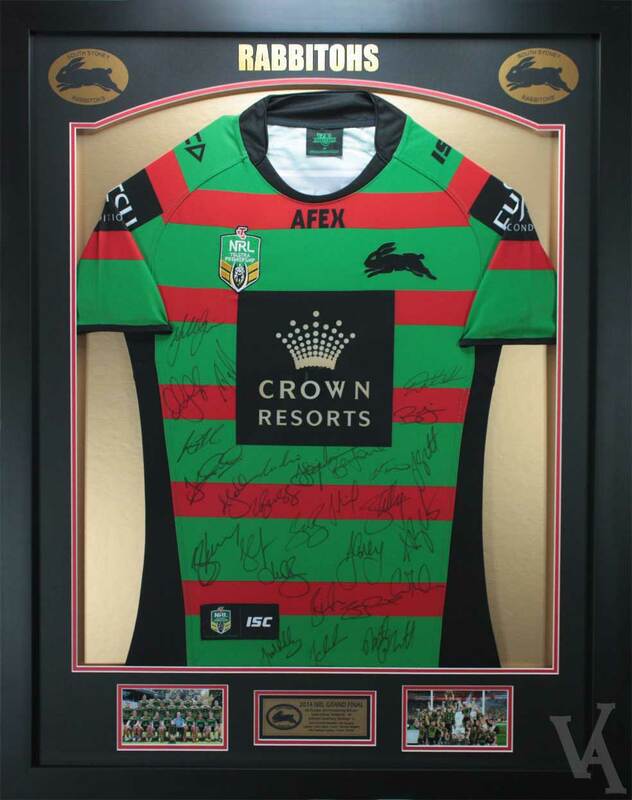 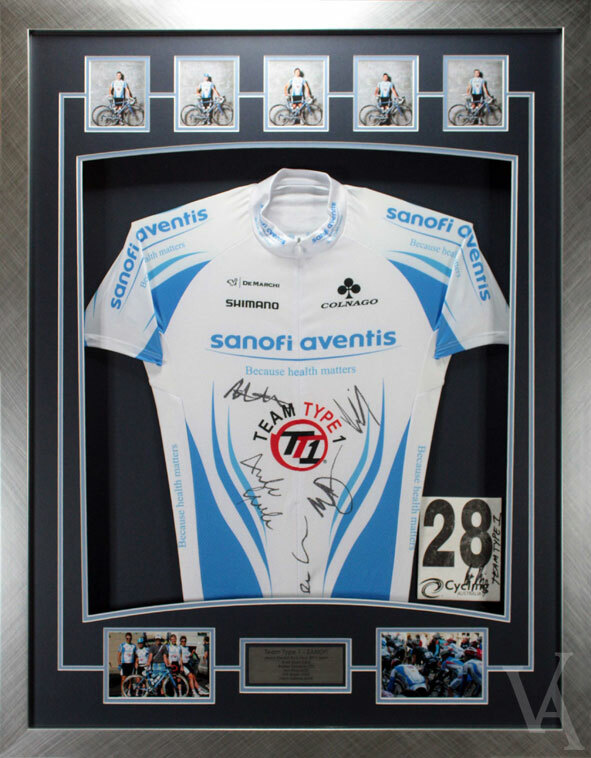 We can implement a Signature Reference Guide into your framed Jersey.